In this article Mark Ford shares some really great tips on how to keep your online advertising costs down. 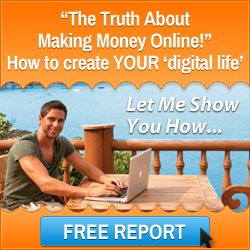 Sometimes when you start an online business you have to keep a close eye on the purse strings. 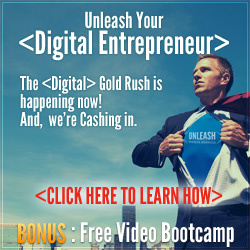 Therefore, today I want to give you some valuable tips on how to keep your online advertising costs down so that you can see a larger return on your business investment. Without a proper marketing plan you can soon see your online advertising costs run out of control and your online business can quickly be seen as a money pit, rather than something that is supposed to earn you a living. Advertising is very important for your business to survive and there are many free marketing strategies that you can implement, but if you can afford to do some paid advertising then it can work alongside your free methods to give you a better chance to gain leads and make sales. So this blog post is about advertising on a budget to keep those online advertising costs more manageable. There are many paid advertising platforms that you can use for your business but it is very important to understand how they work before you pay any money to launch your first campaign. If you don’t then you will be in the scenario of throwing mud at the wall to see if it sticks. Meaning you will try many different strategies with the hope of one working rather than doing your research to see which one is best for you. As an example, if you want to do some paid marketing on the search engines you may get drawn into bidding on the keywords that other marketers are using and that puts the cost per click up. By simply doing some keyword research you will find keywords that consumers are using to search for products when they go onto the search engines. These are classed as buyer keywords and can often be a lot cheaper than the mainstream keywords for a particular niche. Also these keywords may be the ones that will bring more traffic to your website anyway. So do your research! How do you know where to place your ads? Well that again is done by doing a little bit of strategic research and working out who your ideal customer is. You need to come up with an avatar of who needs your products and services. Who will buy your product? It it a man or woman, how old are they, do they work and how much income have they got coming in. Also where do they live and what do they like to do in their spare time. Then you will have a picture of who you are trying to attract. Then when you know this you need to find out where they hangout online. What platforms do they visit? For example if they spend more time on Facebook then advertise there and not Instagram. Once you know who they are, and where they are, your advertising budget will perform better. Many marketers don’t track their advertising campaigns. They have no idea where they are making money and losing money. 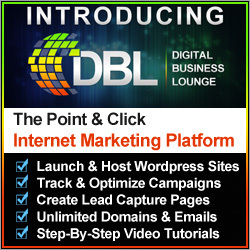 So you need to track every advertising campaign to keep your online advertising costs down. 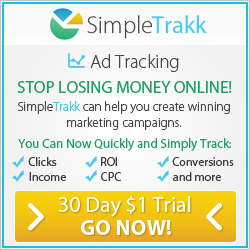 There are many tracking software’s on the market but a great free tool to use is called Simple Trakk. Here you can track single campaigns as well as setting up sales funnel tracking and split testing of your ads. Click on the banner below to open your free Simple Trakk account. I hope that these tips on how to keep your online advertising costs down have really helped you understand what to do when it comes to paid marketing. If I can help you any further or you have any questions then please contact me here. This entry was posted in Digital Marketing and tagged low cost marketing, mark ford, online advertising costs. Bookmark the permalink.